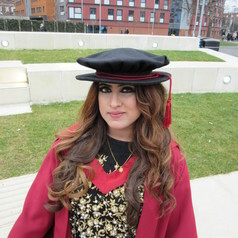 Dr Amreen Bashir is a Lecturer in Life and Health Sciences at Aston University, who has a keen interest in all aspects of microbiology. She is a HCPC registered Biomedical Scientist who undertook her training in a hospital microbiology laboratory, working with clinically significant pathogens including MRSA, Clostridium and Pseudomonas. She has also worked in industry for more than seven years, testing water samples for the presence of harmful microorganisms. She undertook a PhD at Aston University, exploring the persistence of Salmonella in the food manufacturing environment. Amreen is actively involved in promoting science to a wider audience and has organised and participated in numerous science engagements events.